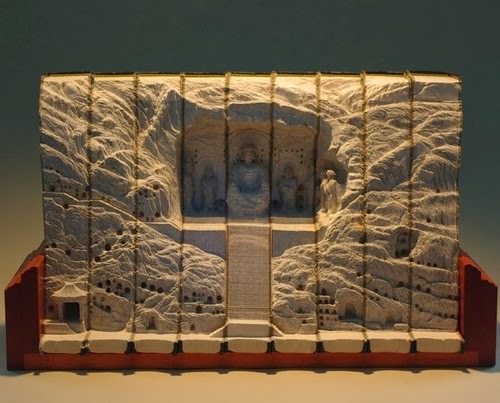 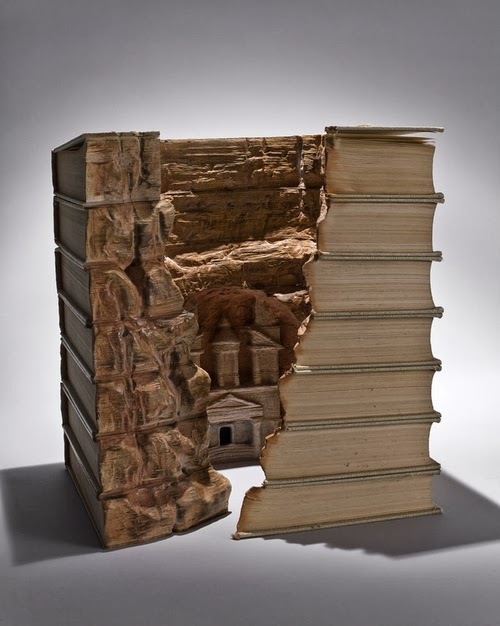 In the book sculptures and by enlarge in his other work Guy Laramee wants to symbolise the erosion of cultures and the erosion of culture its self. 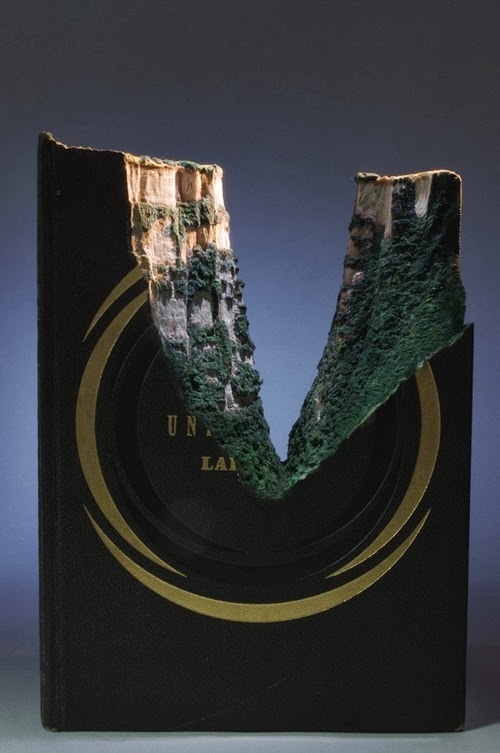 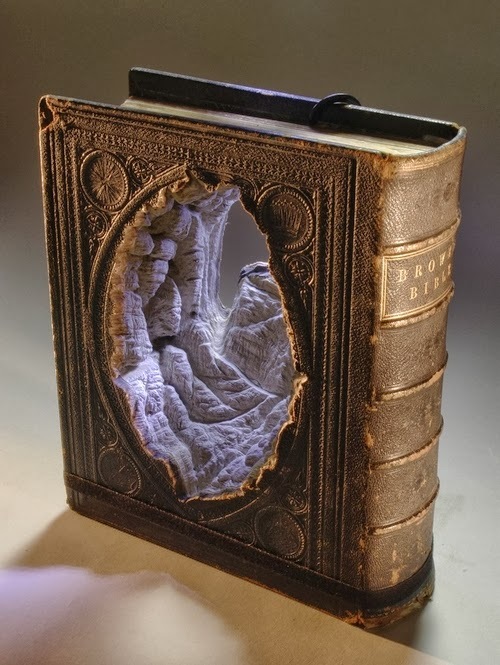 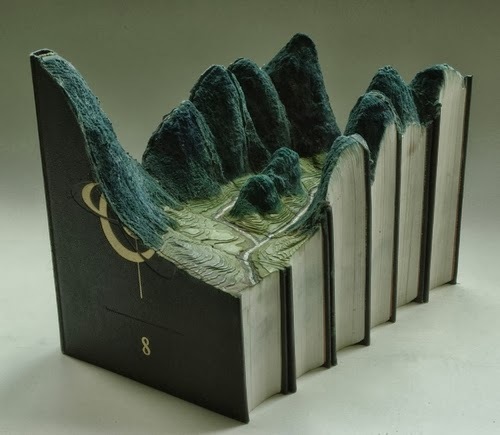 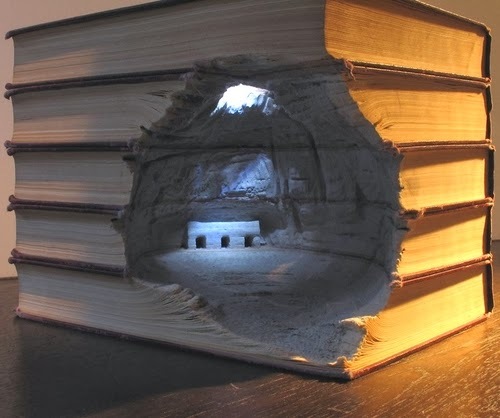 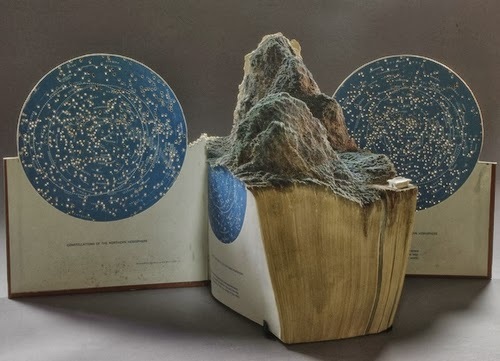 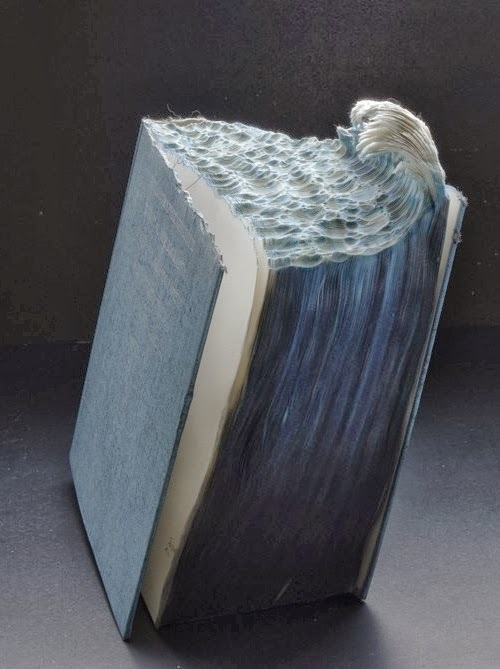 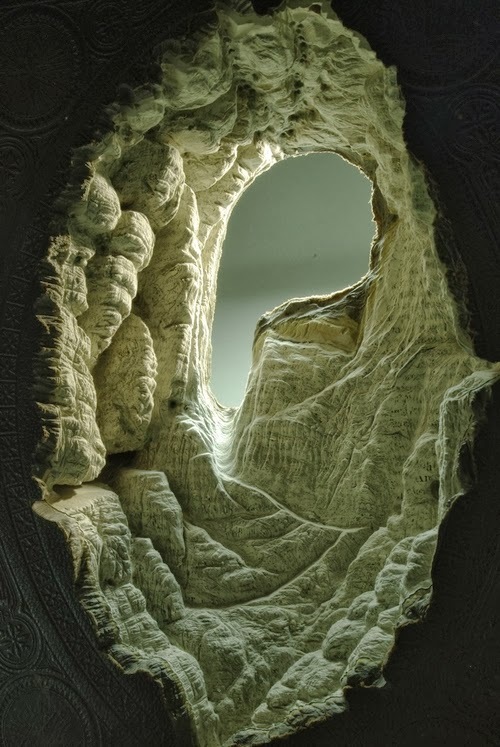 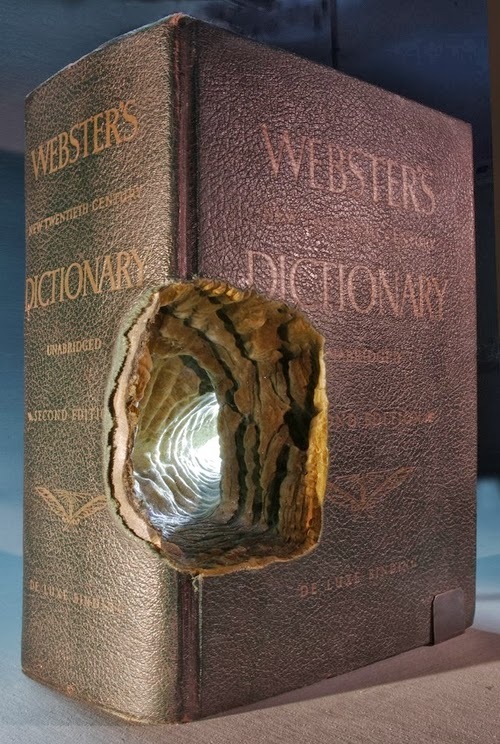 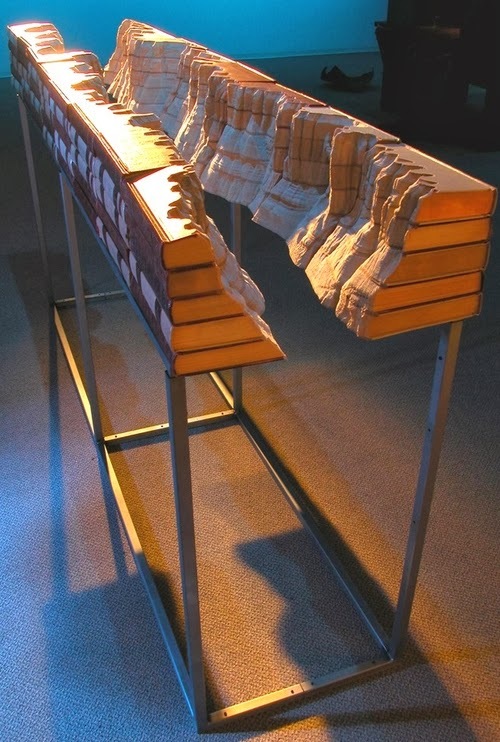 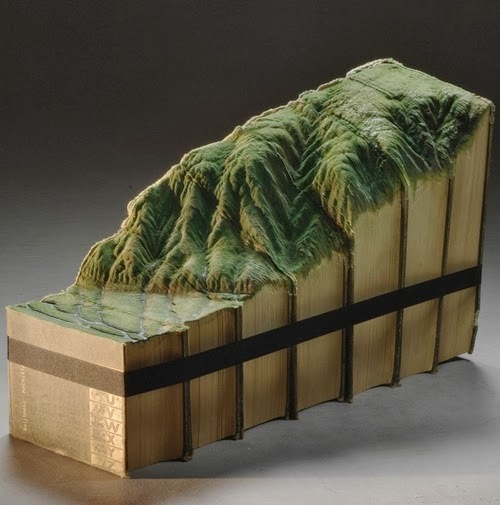 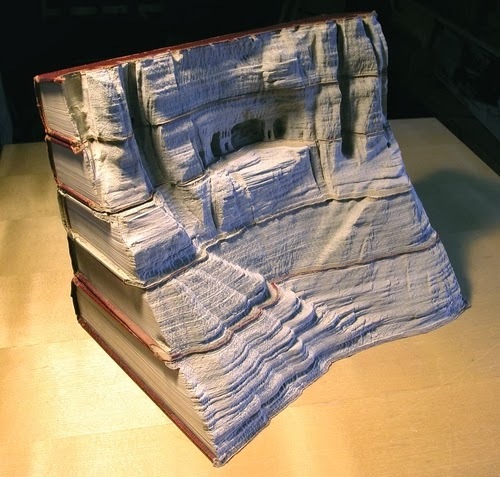 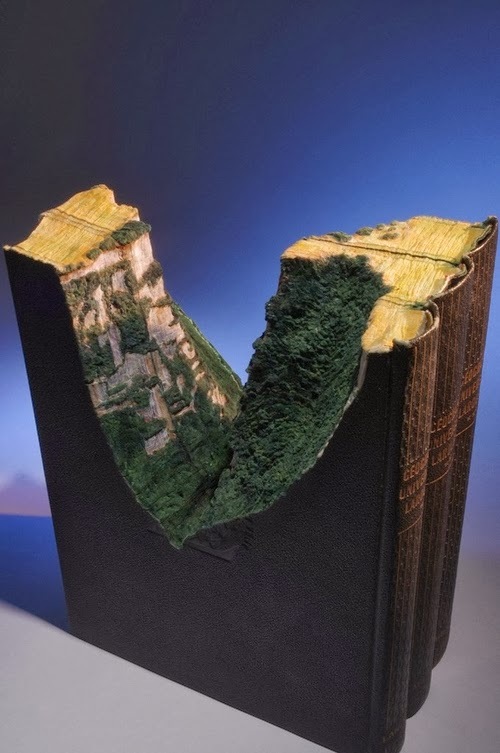 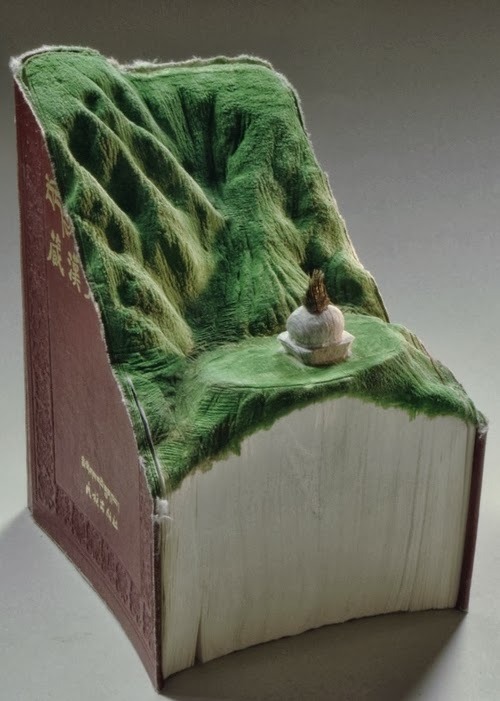 He uses obsolete encyclopedias, dictionaries and other books to create his sculptures that always represent items that are subject to natural decay. 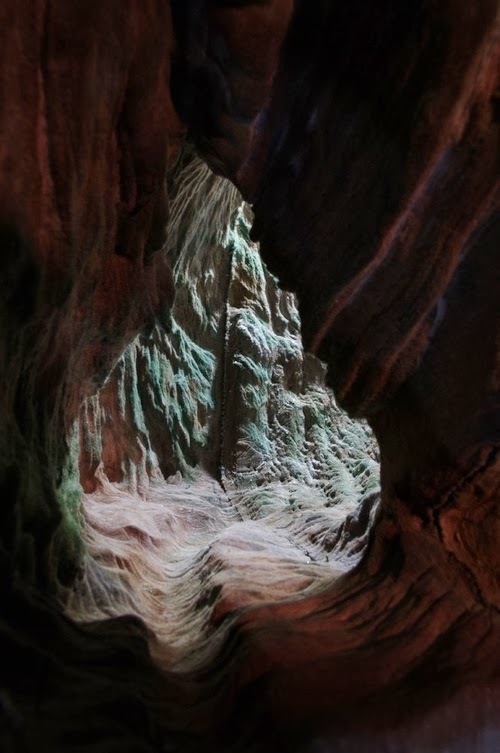 Look at the picture below to see the image zoomed out. 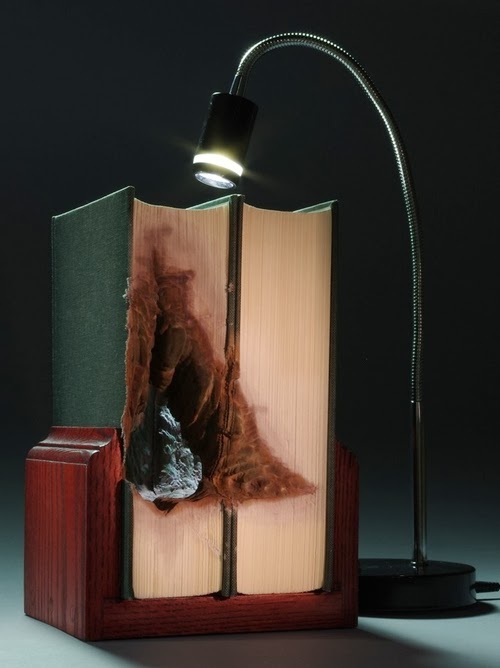 The lighting internally really helps the effect.